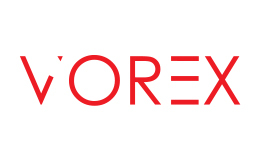 Vorex Trading is ready to serve you at every step of the way. We have offices around the globe including China, Singapore and London so that you can connect with us locally. We mean business and we hope that you can join us in creating a new type of standard. TradeMax Group is a global multi-asset financial service provider who was founded at the start of 2013 in Sydney. TradeMax provides clearing and broking services with more than 30,000 tradeable products such as Forex, CFDs, equities and bonds. Through a single TradeMax trading account, retail and institutional clients will have direct access to various markets and exchanges across the globe. Trade real global market. Alpha Jet Financial Group Ltd. (APJFX), is a leading International Financial Derivatives Broker based in London. Regulated by the FCA (766959), and keeping with their ethos, “Innovation, Professionalism and Safety”, APJFX is committed to ensure a safe and secure trading environment and premier client service. With these values, APJFX has won numerous awards for most trusted broker. The Exness Group was founded by a group of like-minded professionals in the area of finance and information technology in 2008.Exness Group offers the ability to trade more than 120 financial instruments, with some of the best-on-the-market order execution and record-tight spreads for the main currency pairs. In December 2011 Exness Group received an international certificate of compliance with ISO 9001:2008 for “Organizing Forex trading”. WeTrade FX is an award winning forex broker based in London，Serving retail and institutional clients from all over the world in different languages and providing over 50 tradable instruments in forex, spot metals,oil and CFDs.Our motto“In trust we trade”perfectly reflects our vision and objectives of providing a solid,safe and technologically advanced trading environment. Please make sure you register early to receive updates about the Asia Trading Summit 2019 and associated networking events.